The concept of physician wellness is meant to be an antidote to the physician burnout epidemic. Here are two ways to tell if your group cares. 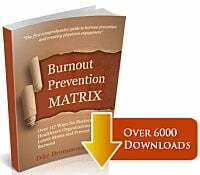 With multiple surveys showing physician burnout at epidemic levels in all specialties (an average of one in three doctors are burned out on any given office day, some surveys show burnout rates as high as 87%) – many organizations are wondering how to support physician wellness in a meaningful way. 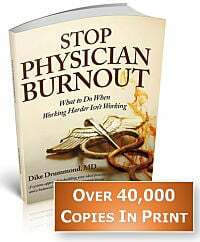 The pervasive negative effects of physician burnout on the quality of care your group provides should make physician wellness a top priority. 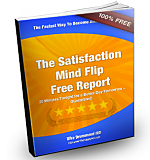 - Higher levels of physician depression, drug and alcohol abuse, divorce and suicide. It turns out that care quality, financial performance and physician wellness are intimately linked to one another. Even a “bean counter” can see the benefits of improved physician wellness. Increasing physician wellness levels will reverse those negative effects and create improvements in morale and performance that roll right to the bottom line profitability of your organization. When it comes to physician wellness … how can you tell if your organization cares? Here are two ways. 1) The physicians and staff appear in the organizational mission statement. Whenever I consult with a physician group my first step is to ask about their mission statement. Most groups have taken the time to create one. (whether or not it actually influences your day to day decisions and actions is a whole separate topic) When it comes to physician wellness, here is the gaping hole in every mission statement I have seen so far. The doctors and staff don’t appear in it … they are invisible because it focused completely on the patients. When you begin to hold physician wellness and staff wellness as equally important to patient care quality, incorporate it into your mission statement via an all staff retreat and then live into it … some interesting things can begin to happen. 2) You find signs of a “Culture of Caring”. Is there any evidence that your group does anything to support physician wellness in your organizational structure, standing committees, budgets or the behaviors within the group? If we hired a corporate anthropologist to study your group carefully for two weeks, would they find any activities that support the notion your group cares about physician wellness? I encourage you to think about that for a second. Scan your own experience of your group’s structure and culture. Apart from being socially appropriate and pleasant with each other (most of the time) is there anything else that is designed to support physician and staff wellness going on in your group? If your organization passes these two tests …. PLEASE LEAVE A COMMENT BELOW and tell us how things are going and what it is like to work there. It is highly likely that your group fails both of these tests or worse. How do you begin to establish a “Culture of Caring”? The first step is to acknowledge the elephant in the room – physician burnout – and understand that there are a number of things you can do as an individual to support physician wellness for yourself and begin a meaningful physician wellness program in your organization. It all starts with acknowledging the issue and choosing to care. Put your personal wellness and the wellness of your support staff as equal priority to the quality of care you offer. This is only expressing reality. Patient care quality, profitability and physician wellness are intimately connected to each other – let’s begin to acknowledge this fact. If you don’t have a mission statement, there is no stronger message to your doctors and staff than an all staff retreat to create one … making sure that the doctors and staff are included in the wording as in the example above. - What would I do differently for myself ? - What would I do differently and how would I be differently with my colleagues ? - What initiatives would I take responsibility for and leadership over within my organization ? I am always available for a conversation about how you can begin or improve a physician wellness program in your group or organization. Please leave a comment with your experience of physician wellness programs and how the physician wellness program within your group is working. 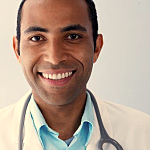 We would all love to hear of physician wellness initiatives that are producing positive results. Keep breathing … and have a great rest of your day.